When it comes to feeding dogs, the half-truths and lies are seemingly endless. It seems like nearly everyone who sounds off on the topic of dog food has some sort of agenda that they are trying to advance. Others are simply misinformed. Let’s take a look at some of the top dog food myths to shed some light on the actual truth about dog chow. The large brands available for purchase at your local veterinarians’ offices are typically labeled as “premium”. Such dog food is allegedly “top of the line” yet when you take the time to study the ingredients, you get closer to the ugly truth. Dog food sold by veterinarians tends to be made with formulas that are developed by monolithic pet food conglomerates. These dog foods offer protein through grains or by-products of grains like wheat, brewer’s rice and corn gluten meal. Sure, protein is important yet protein of the highest quality is derived from uber-healthy meat sources, not the by-products of grains. Another problem with dog food sold by veterinarians is that it typically has by-products of poultry that contain leftovers like animal feet, intestines, undeveloped eggs and even bird beaks. Clean meat should be present in the food instead of these unsavory animal by-products. Such by-products are not only gross but they also have the potential to trigger digestive issues. The bottom line is that you should avoid the dog food brands sold at your veterinarian’s office. They really aren’t much different from the bargain brands sold at your local grocery store. Opt for a healthy dog food that primarily contains real meat or “meat meal” such as lamb meal or chicken meal. These meats should be listed on the ingredients ahead of grains. This way, your pet will obtain the proper types of protein derived from actual meat instead of grain. Make the transition and you will likely notice some impressive results. Your dog might lose weight and/or suffer fewer allergies. This myth even has some veterinarians fooled. Dogs have pointy teeth with sharp edges. Such teeth are perfect for biting, chewing and tearing meat. When dogs are forced to eat kibble, they often swallow it whole. It can be said without a doubt that dry food does not clean a dog’s teeth. It does not scrape along the lower portions of the teeth or close to the gums. Such areas are hotbeds for dog dental issues. Dry food even has the potential to contribute to a dog’s dental problems. Some dry food turns into shattered bits when munched, leaving fragments stuck in between the teeth that inevitably lead to bacteria growth and serious dental problems. Opt for a natural diet, healthy chews, frequent brushings and your dog will likely have healthy teeth across posterity. 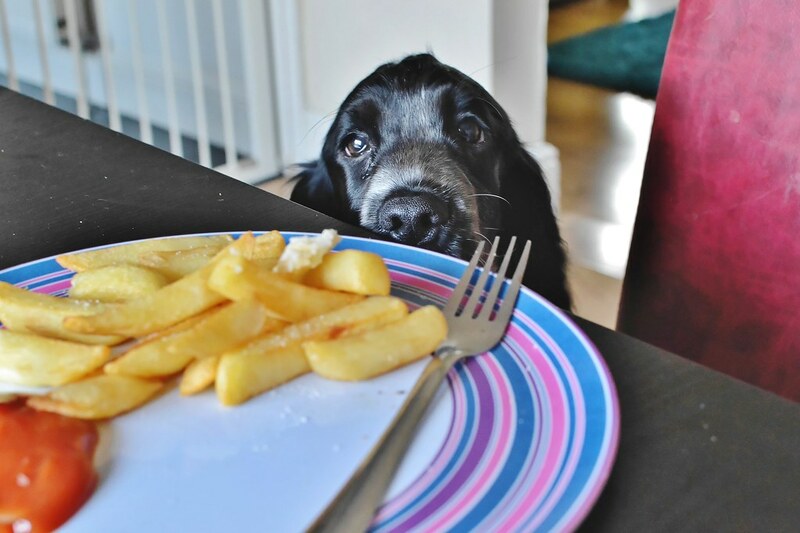 The vast majority of dog owners try to avoid feeding table scraps to their furry friends. To the surprise of many, the majority of holistically trained veterinarians actually favor the practice of giving so-called “people food” to dogs. However, these table scraps should only be fed to a dog if they are healthy. Never feed a dog chocolate, grapes, raisins or onions as they could poison him. Do not feed your dog a steady diet of table scraps. Rather, give him a few table scraps here and there to supplement his usual dog food. Examples of acceptable “people food” that can be safely fed to dogs include baked sweet potato, meat, steamed and finely diced vegetables, oatmeal and rice. This is an overly general statement that rings hollow to those in-the-know. There are few facts to back up the claim that every type of commercial dog food is bad. Perform some research and you will find that the quality of commercial dog food products differs. Certain dog food manufacturers go to great lengths to select the best possible ingredients for their dog food. Most also take precautions to guard against E. coli and salmonella to boot. Lazy and negligent pet food manufacturers are responsible for this myth. In reality, a diet that is high in plant protein has the potential to aggravate or harm your pet’s organs. Pets of all ages should be fed a diet that is high in animal protein. Avoid mass produced dog food that is loaded with protein derived from corn and/or soy as dogs find it difficult to digest such sources of protein. Switching between different pet food brands or formulas will not be a problem. Dogs can consume a unique formula/food for each meal without any issue. The only caveat is that the food must be high-quality. Variety is actually quite important to prevent the onset of sensitivities to specific foods or types of protein. This means that feeding a dog the same food for months or years can result in the development of food allergies. Some holistic veterinarians even claim that feeding the same food to a dog for years on-end can lead to inflammatory bowel disease. Put yourself in your dog’s position. How would you feel about being forced to eat the same type of food for each meal for your entire life with an occasional treat mixed in? It would be torturous. 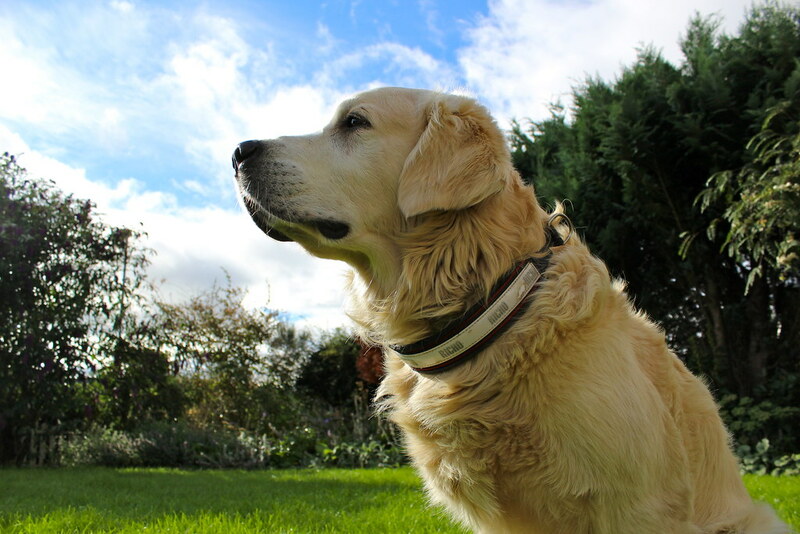 So don’t hesitate to change your dog’s brand of pet food from time to time. He will love you that much more for giving him something new and exciting to eat. The truth is that dogs get the vast majority of the nutrients they need directly from their regular dog food. Don’t buy into the supplement hype. It is merely a way to convince dog owners that spending even more money is necessary to keep their furry friends alive and well. In the end, feeding your dog a diverse variety of foods throughout the day and week will round out his diet, making it balanced and complete. This myth is centered on the allegation that a dog’s pork consumption leads to pancreatitis or spreads toxins to the liver. There is no evidence to prove such claims. The main causes of dog pancreatitis are trauma from falls or accidents, obesity, a low-protein and/or high-fat diet, tumors, toxins/drugs, diseases and genetic predisposition. The bottom line is that pork is as harmless as chicken, lamb and beef. It is also worth mentioning that plenty of leading dog foods contain pork meal as a source of protein. Though pigs might eat some gross things, their meat is quite tasty, easily digestable and will not harm your dog. Some veterinarians actually view pork as an excellent source of protein and amino acids that has little chance of causing an allergic reaction. This is a bald-faced lie. If your aim is to provide your furry friend with the most possible meat nutrients, always opt for dog food with meat meal listed as one of the top ingredients. The term “meal” means the meat’s water and fat have been removed. As a result, the meat meal will weigh less than the actual meat and possibly even contain more protein. Perform some research about this statement and you will not find a single study proving it to be true. Eggs certainly have plenty of protein and vitamins that are essential to the growth of hair. However, it has been proven that diets high in fat are more important for creating that lovely soft and glossy coat of hair that every dog owner desires. Though egg consumption won’t harm the appearance of a dog’s coat, their consumption alone will not create an aesthetically pleasing coat. Furthermore, never feed raw eggs to your dog. Many food experts believe raw eggs lack vitamins. Also, raw eggs pose the threat of salmonella poisoning. In the end, eggs aren’t much better than any other diet when it comes to creating a beautiful coat of hair. I sprinkle powdered egg shell to my dog’s meal. It’s a good source of calcium. When switching formula/food, it’s important to change it gradually to reduce the probability of stomach upset. 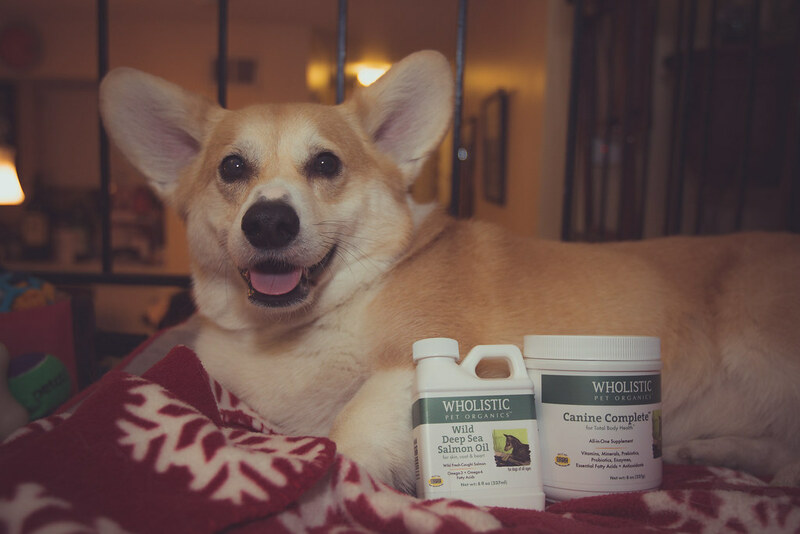 Only incorporate supplements if your dog needs it, otherwise it will not be a good thing for your dog’s health. I agree with everything written on your blog except for the last one. We’ve been on raw feeding for the past years so it’s not a surprise that I feed raw eggs. I don’t feed the egg white though, but the egg yolk is a complete food source. Cooking it will reduce the nutrients. Another myth left unanswered is that dogs need 2 or 3 meals, spaced out over the day. Actually, dogs do better if they are fed once daily. This practice allows them to enter a fasting, fat-burning state, which promotes better health and longevity. The best dog foods are made with the simplest and most nutritious ingredients. Look for high-quality ingredients such as whole meats, fruits, vegetables, and grains, and take heed of the different macronutrients. (proteins, fats and carbs.A high-quality dog food should contain no rendered meat or meal from chicken, fish or other meat sources.A well-balanced dog food should also use real meat as its first ingredient. It should also not use harmful preservatives, flavors or artificial colors. Should I be adding fruits and vegetables to my dogs diet how ? Fruits and veggies are nutrient packed, and help with the fight against canine cancer. With canine cancer affecting so many dogs today, combining regular exercise with a high-quality diet may help in canine cancer prevention. .Carrots contain beta-carotene, potassium,niacin,riboflavin,sodium, iron,magnesium, sulphur, copper, iodine, and vitamins B,C,E,and K. What’s great about carrots is that they also support the immune system, help with digestion, and help with glandular issues. Puppies and adult dogs enjoy raw carrots as a treat as well. .Broccoli is best known for its cancer fighting enzymes. Broccoli contains vitamin C,A,and D.Broccoli also has beta-carotene. Other cruciferous veggies that are beneficial for your pooch are Bok Choy,rutabagas,cabbage, and kale, though you’ll need to limit the amount of gas-inducing veggies like cabbage fed to dogs. .Blueberries are fantastic for dogs, and can be added with some plain yogurt. Cranberries, as well! They both have lots of antioxidants. Resveratrol is found in both blueberries and cranberries, and may help to fight cancer. .Apples contain vitamin C, potassium,iron, selenium,vitamin A and E,copper, zinc,calcium, folate, manganese, and phosphorous. Apples contain plenty of antioxidants, most especially the red ones. .Mangos contain fiber, protein, potassium,phosphorous, iron, selenium,manganese, zinc, and copper. They also have vitamin A, B6,C, and folate. .Sweet potatoes are popular with dogs. They too are rich in vitamins like vitamin C, B6,E, and A.
Tumeric, seaweed, fish, green beans,cucumber, zucchini, and Shitake mushrooms are other nutrient packed foods that help the fight against cancer. I am in no way connected to the content written within this website, most especially the German Shepherd blog. This website hires other writers for their blogs.Please do not contact me regarding website content. I only write content within the comments section. You may not realize that your dog’s physical well-being depends on what you feed him. Feeding your dogs a high-quality dog food will help him or her overcome certain diseases, live a longer and happier life, and even prevent many behavioral problems that may be linked to improper nutrition. That said, there are a few ingredients that your furry best friend should not consume. Preservatives in dog food are , BT, and ethoxyquin. These can trigger off allergies in your dogs. Some may be carcinogenic. Natural preservatives in dog food can be found as Vitamin E or Rosemary. By-products in dog food contain ‘non-rendered” parts from slaughtered cattle. By-products are not healthy for your dog to eat. Rendered fat may contain waste products from the slaughterhouse and are also not healthy for your dog to consume. This is used to keep dog food moist. It also adds flavor to cheaper dog food products. Propylene glycol poisoning in dogs would be from antifreeze. That said, although there is only a small amount of propyl glycol in dog food, consider what it does to your dogs, if fed over many years? Corn may have its disadvantages in that it can cause obesity in dogs, as well as diabetes, and sometimes food allergies. Cheap dog foods will contain coloring like Yellow 5 and 6 or Blue 2. Just like humans that are sensitive to food coloring, dogs can be too! Check your ingredients list to see if any coloring is in the ingredient list. .Need to check ingredient labels repeatedly, most often when switching brands to make sure that you’re not falling for the pretty packaging. What To Look For in Dog Food? Diets that have an Association of American Feed Control Officials (AAFCO) statement on the label, saying that the diets have undergone animal feeding trials, for the appropriate life stage, are generally preferable to diets that are formulated [by computer], to meet AAFCO nutrient profiles for that life stage. AAFCO also dictates the levels of nutrients that should be used for each life stage. What are the advantages of dry dog food vs wet dog food? When deciding whether to feed wet or dry dog food, always opt for the highest-quality dog food formula. 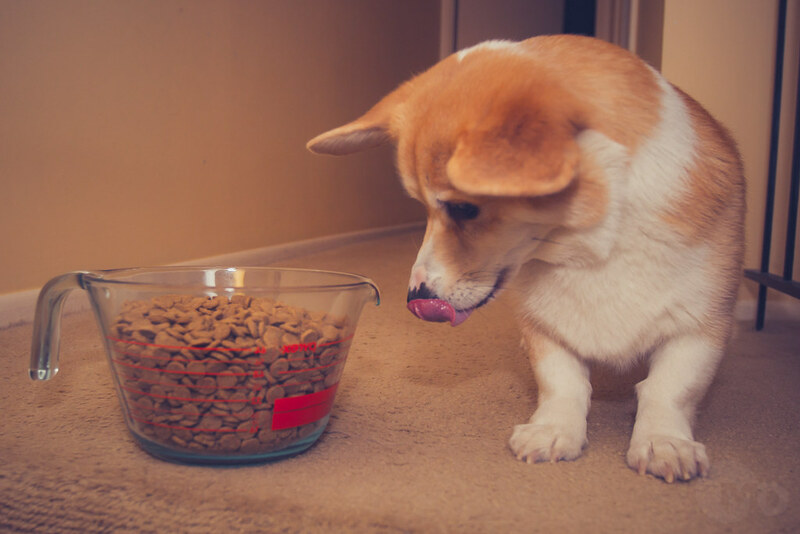 Before purchasing or switching to a new dog food formula, check out the dog food reviews and dog food recalls.There are numerous high-quality dog foods that are great to feed. Each brand of dog food should be chosen with a dog’s unique and specific health needs in mind. Just as we choose different diets to suit our own lifestyles and life stages, the same should be done for our furry best friends. It’s also best to consult with your veterinarian for the best advice when considering a dog food. What’s Not So Great About Dry Dog Food? .numerous recalls due to bacteria, salmonella, mycotoxins and nutrient concerns. 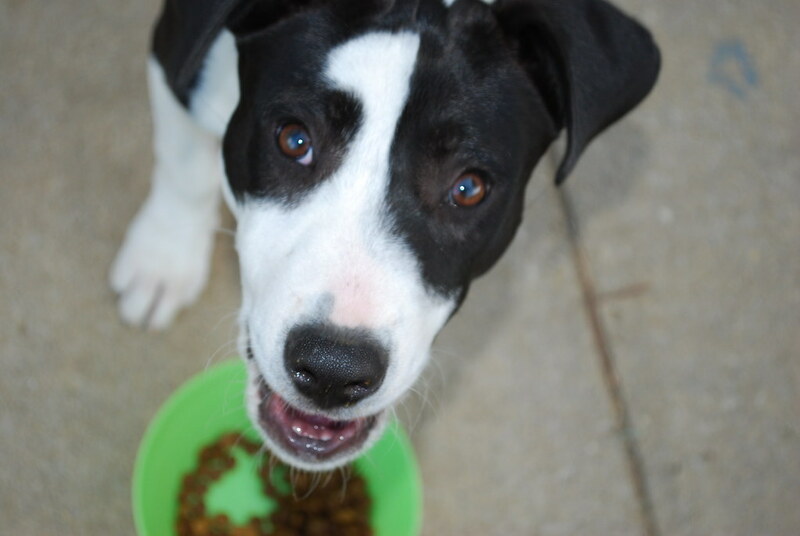 What’s Great About Wet Dog Food? .numerous “complete and balanced” brands that are of high- quality. .numerous varieties such as turkey, chicken, beef, liver and duck. What’s Not So Great About Wet Dog Food? General ingredients that include whole meats, fruits or vegetables in their top 5 ingredients are considered good foods. Those that also incorporate antioxidants like blueberries, cranberries, pomegranates and pumpkin are also becoming popular. With that said, organic, natural and preservative- free with no artificial ingredients, are also key to a well- balanced, and high quality dog food. If you want to see which dog foods make a difference, and keeps your pooch healthy, you don’t have to spend a lot of time or money. The best dog foods are made with the simplest, and most nutritious ingredients. Look for high-quality ingredients such as whole meats, fruits, vegetables, and grains, and take heed of the different ratio of macronutrients- proteins, fats and carbs! Next, you’ll have to try out which one works best for your dog. Providing your dog with the most appropriate diet that is healthy and beneficial to his life stage will help you give your pet a long and healthy life! As usual, always consult with your veterinarian for the best advice when it comes down to high-quality dog food formulas!